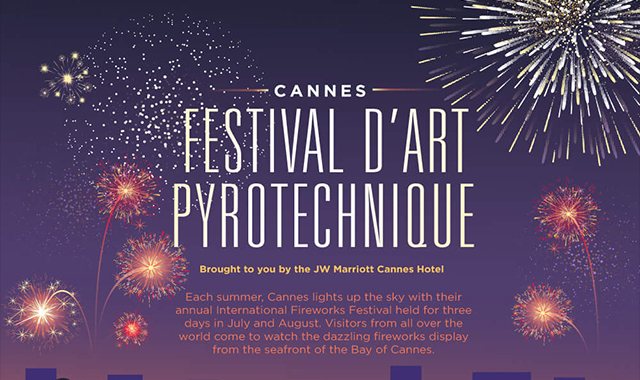 Festival D’art pyrotechnique cannes #infographic ~ Visualistan '+g+"
A sophisticated retreat awaits you here on France's famed Cote d'Azur. Gorgeously appointed and ideally situated, the JW Marriott Cannes provides a 5-star resort experience for business travelers and vacationing families. You'll find our hotel on La Croisette, the legendary oceanfront avenue.